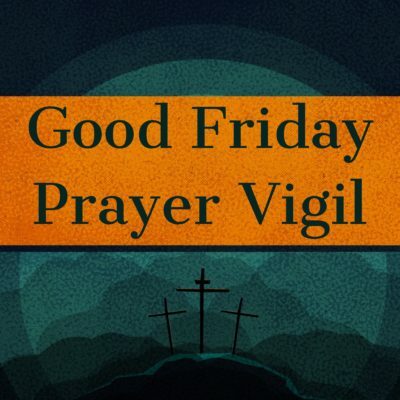 You are invited to spend time in prayer and reflection on Good Friday in the sanctuary. You will have the opportunity to use a prayer guide and, together, we will pray for each person connected with our congregation by name. Make plans to come to the sanctuary between 9 a.m. and 3 p.m. and stay as long as you like.